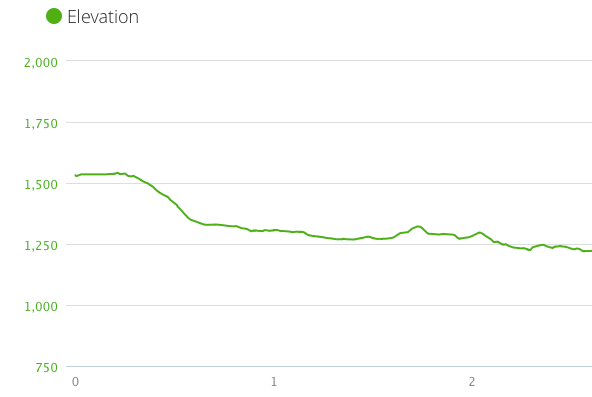 Cane Creek is the kind of trail that gets orphaned for the 900 miler. There is no easily accessible trailhead and it is not part of any loop. Furthermore, it is a roundtrip. The closest trailhead is 1.5 from the Goldmine Road Trail but that is an obscure access in a small residential area in the Lake In The Sky community off the Foothills Parkway. The other option is Abrams Creek Campground, 3.7 miles down Cooper Road Trail. This hike was part of a backpacking trip that included most of the trails in the Abrams Creek area. 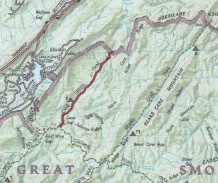 The trail starts at Cane Gap at the junction with Cooper Road Trail. The trail leaves the gap in gentle descent through mixed hardwoods. There is a creek crossing at about 0.5 miles that is a rock hopper, followed by Campsite #2 – Cane Creek at 06. miles. Cane Creek Camp is a little used site that is pretty nice on Cane Creek. Just passed CS #2, you cross over Cane Creek again, which is a wet crossing save for a downed log just up the creek about 20 yds. At 1.2 miles is a side creek crossing which is another wet crossing. The Buchanan Family Cemetery comes up at 1.3 miles. 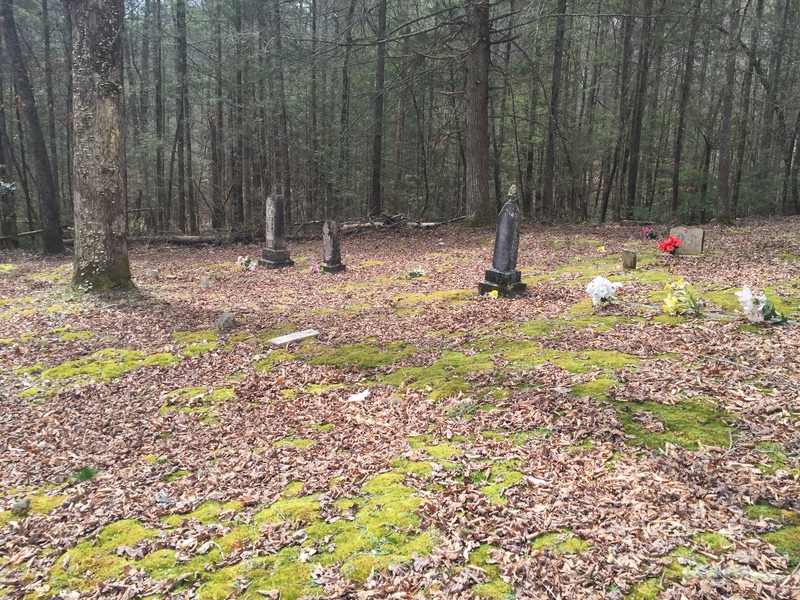 There are graves dating back to the early 1900’s. The trail continues flatly to the park boundary. Another wet stream crossing occurs at 1.9 miles. At the park boundary, the trail appears to continue on through what is probably private property. The Google Map of this section indicates that the Cane Creek Trail continues on out to Millers Cove Road in the Lake In The Sky community. 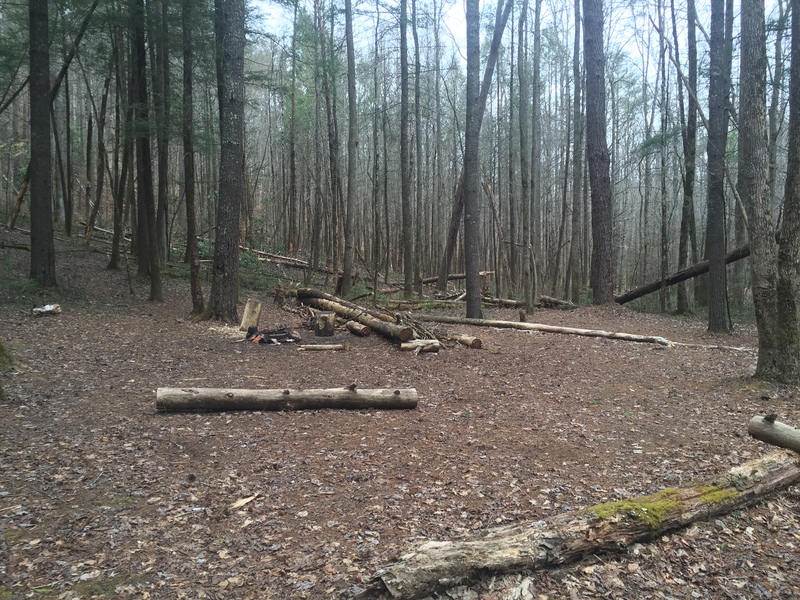 This entry was posted in Trail Log and tagged Campsite #2, Cane Creek Trail on April 1, 2016 by blogginggazelle.